As the Rugby World Cup and 2020 Olympics draw closer, new hotels cropping up across Japan are readying to compete for what the nation hopes will be a massive influx of tourists. Among the establishments are a number focusing on Japanese design to offer visitors experiences that go beyond a comfy bed and fine dining. This month, On: Design looks at three hotels working with local designers and artisans to not only bring unique aesthetics to interiors, but also introduce guests to some of the country’s traditional crafts. At its opening preview on Feb. 13, Hamacho Hotel, a 15-story building designed by UDS in Tokyo’s Nihonbashi district, showcased its Tokyo Craft Room — a second-floor guest suite that also functions as a gallery space. Creatively directed by Teruhiro Yanagihara (creative director of Karimoku New Standard and 1616/Arita Japan), Tokyo Craft Room is not simply a suite housing particularly decorative art. 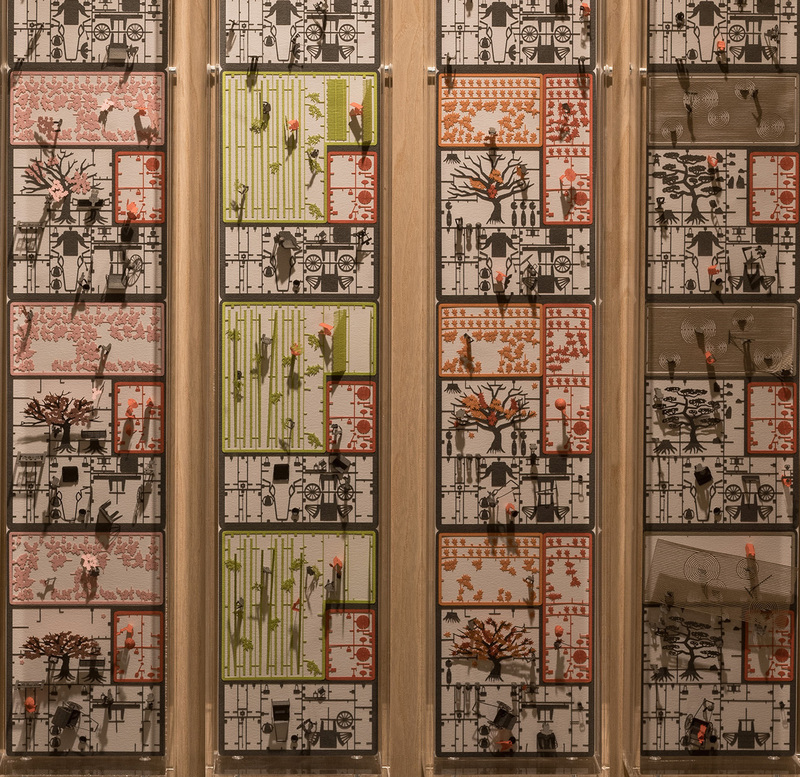 The main exhibits that guests are invited to enjoy during their stay are functional objects, exclusively created by designers in collaboration with Japanese artisans. For the first exhibition, Eefiene Bolhuis and Eva Gevaert of Danish design unit De Intuitiefabriek traveled to Japan last summer to team up with Masaru Kawai, the director of woodworking studio Soma. De Intuitiefabriek is known for working intuitively with materials, basing designs on the characteristics of clay, glass and wood. During their trip, Bolhuis and Gevaert visited the Soma studio in Gifu Prefecture and spent time collecting specimens from the forests where Soma sources its sugi (Japanese cedar). They also spoke with other local craftspeople, including Mino-washi Japanese paper makers. 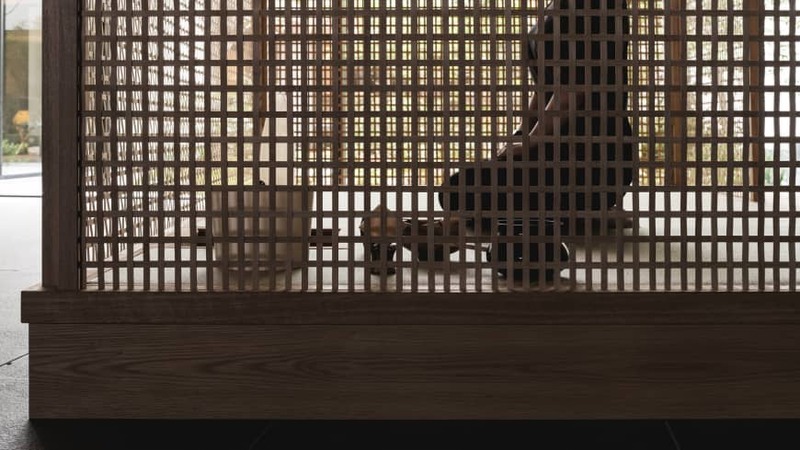 The result of their field trip is a delicate cabinet inspired by ranma, the latticed or carved wooden frames usually found above windows and shoji doors to help ventilate and let light into Japanese-style rooms. The cabinet’s lightweight frame, handcrafted by Soma in fragrant sugi, has doors with panels of translucent, superfine Mino-washi paper. Opening from two sides, it encourages viewers to walk around to peer straight through, “like walking through trees in the woods,” say the designers. Inside sit minimalist ceramic cups in muted grays and blues by Swedish designer Ingegerd Raman, created in collaboration with the Arita-based pottery Koransha. Tastefully placed elsewhere in Tokyo Craft Room are other De Intuitiefabriek and Ingegerd Raman works, including sculptures, vases and an array of miniature prototype models of the cabinet. 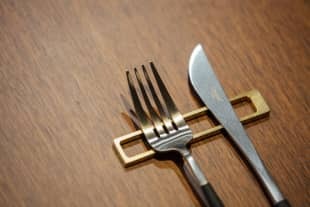 Guests staying in the room, which will cost from ¥50,000 per night for two, are free to use any of the functional items on display, and even purchase them on order. When the room is not booked, the space will be open for public viewing. 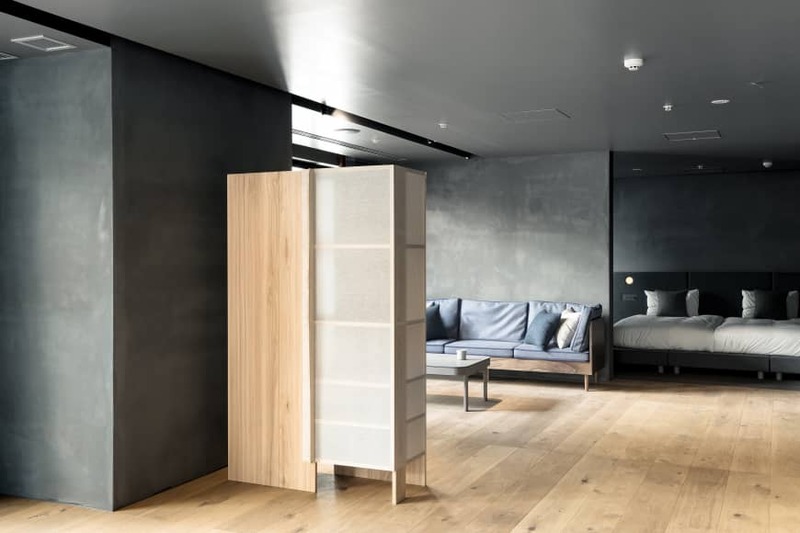 Hamacho Hotel plan to regularly add to the room’s collection, with the next designer collaboration slated to involve the Swedish Claesson Koivisto Rune. 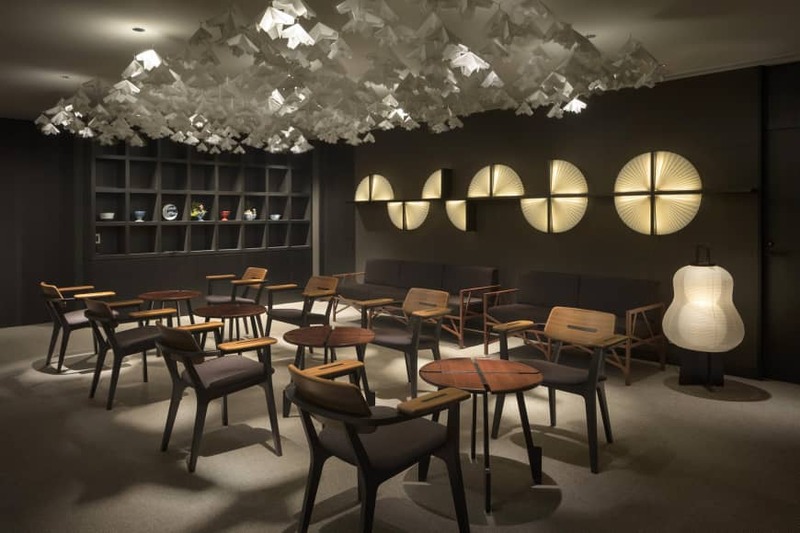 Also in Tokyo, this time in Ueno, a district famous for its many museums and bustling, friendly local communities, Nohga Hotel introduces its guests to nearby craft industries and artisans by actively promoting its list of design collaborations. Almost all the decor is provided by Japanese creators: guest rooms are styled with Time & Style’s invitingly plush furnishings; tissue boxes, hangers and shoehorns supplied by Syuro, a lifestyle brand dedicated to Japanese artisans; and bathroom amenities are by Dear Mayuko, a new silk-protein-infused cosmetics brand. Even the colorful key cards sport a design by Kyogen, a traditional kamon (family crest) designer with over a century of history. Selected by Teruo Kurosaki (founder of the interior brand IDEE), the interiors and products, which are highlighted on the hotel’s website, also hail from truly local businesses and craftspeople. 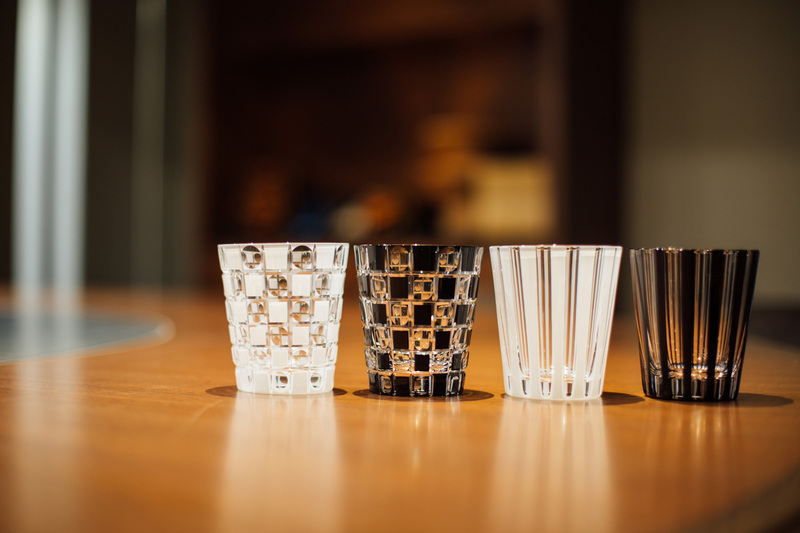 The hotel’s Edo-kiriko glasses, for example, are crafted by Kimoto Glassware, artisans in Taito Ward who have been producing the distinctively patterned cut-glass since 1931. Other local products include Alloy’s modernist brass tableware, Ito Bindery’s minimalist memo pads and Kakimori’s transparent ink pens. There’s a well-honed fusion of contemporary design with classic craft industries throughout the Nohga Hotel, which are further promoted by inhouse workshops with artisans and a selection of products available to buy. Guests can even cycle around the district on the hotel’s Tokyobikes, made by the nearby Yanaka-based company that has become internationally renowned for its stylish street bikes. 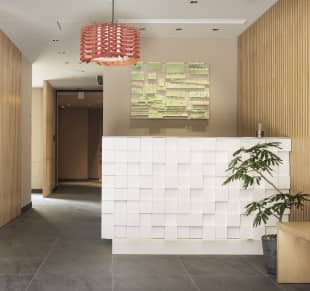 Enso Ango is being touted as one of Japan’s few and Kyoto’s first “dispersed” hotel, comprising five buildings across the city — all different in aesthetic and facilities, and all accessible to guests at any of the locations. United by a reverence of Zen aspects of relaxation, its commitment to Japanese design leans toward classic uses of craft, but with a modern touch. Guests will find Japanese-style courtyard gardens and wabi-sabi decor, as well as meditation events. Most importantly, there is a focus on different artisans and contemporary works within each of the five buildings. Fuya I, built in the style of a machiya (traditional Japanese townhouse), houses the work of Masanobu Ando, a potter whose rustic tableware and sculptures are hand built in warm, earthy colors. His pieces, displayed in communal areas as well as in guest rooms, are also available to guests to purchase. 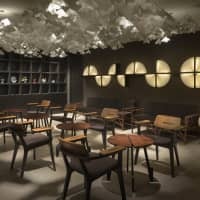 Fuya II’s centerpiece is a stylized collapsable tea room conceived by Shigeru Uchida of Uchida Design Inc., the company behind all Enso Ango’s interiors. A framework of latticed bamboo slats, it complements the building’s main feature of a tatami event space and can be folded away when not in use. Tomi I, which hosts obanzai Kyoto cuisine cooking classes in its guest kitchen, features the work of Katsuhiko Hibino, who often works with local communities to create artworks. For Tomi I, he used vegetable boxes from local markets as the base materials for a series of colorful abstract wall pieces. Tomi II showcases Swiss designer Atelier Oi’s first major project in Japan. Already a regular collaborator with Japanese artisans, Atelier Oi brings to Tomi II contemporary interpretations of chōchin (paper lanterns) made by Ozeki & Co. Ltd, the company famous for producing Isamu Noguchi’s Akari lamp line; silk-thread ceiling light shades, inspired by Japanese parasols; and a nebula of fluttering white paper mobiles, a project originally developed with the Gifu Prefectural Government and Federation of Paper Industries. Last, but not least, is Yamato I. 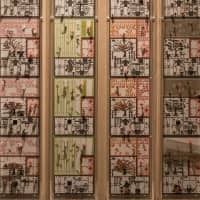 The smallest and simplest of the five establishments, Yamato I’s guest rooms all have bunk beds and, rather aptly, the designer of choice is Naoki Terada of Teradamokei, whose tiny intricate paper architectural models can be found in cases tucked way in bedside walls. 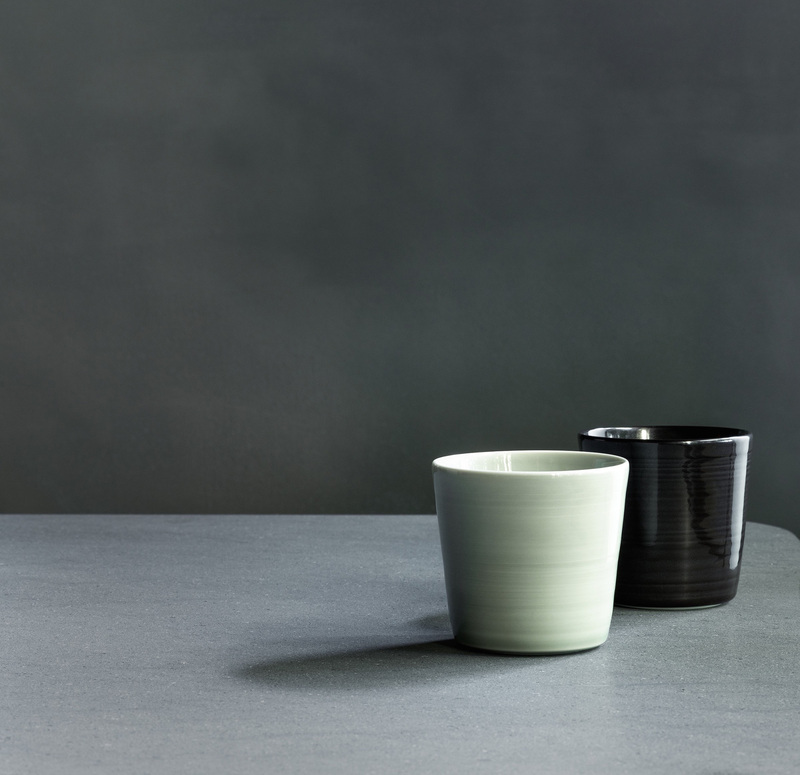 Enso Ango not only sells all its artistan collaboration works, it also plans to allow guests to buy Atelier Oi’s guest room cups and schedules tours to local craft factories.